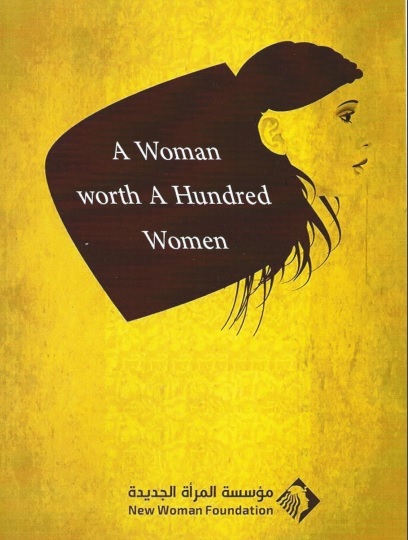 This booklet documents the success stories of ten women who had leadership roles in defending women’s labour rights and their rights to trade union organization. Their roles were motivating and inspiring for their female and male co-workers. 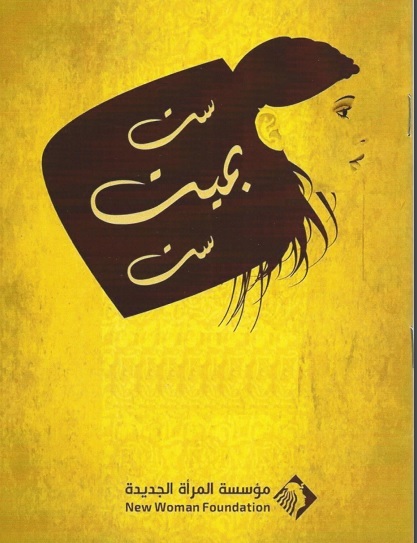 We are trying through this booklet to contribute to improving the image of women through highlighting a different image, and highlighting their capacities to change and resist the violence and discrimination they are subjected to in work. We were keen to show diverse experiences from different work areas and various governorates. 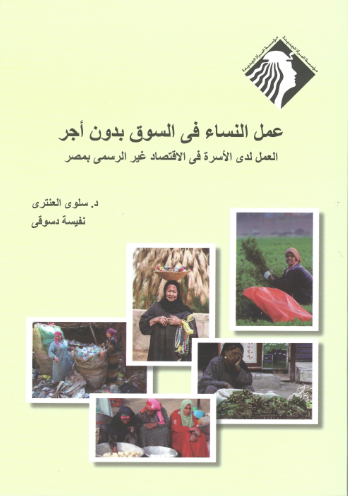 This booklet is one of the activities of “Women in Work: Tools to Empower Egyptian Women Workers” project which has been implemented in collaboration with the Dutch embassy in Cairo for two years. Most of these women have participated in the project’s activities that varied to include training activities, seminars, workshops and launching campaigns and initiatives concerned with women’s labour issues. The story begins with protests concerned with their demands within the governorate. Then they moved to Cairo defying people’s talk and their conservative reality in order to defend their rights. Their struggle continued until victory has been achieved. The Origin of the Story.. The number of the female rural pioneers ranges from 4000 to 5000 all over Egypt. The National Population Council hired them at the beginning to raise awareness of the population problem then they were officially affiliated with the Ministry of Health under new temporary contracts of three months duration. They were hired according to the fourth section of the wages system in 2010. Much to our surprise, the Ministry of Health discharged a large number of the experienced female pioneers and contracted with new pioneers under annual contracts. The old female pioneers remained with the 3-months temporary contracts. We Have to Take an Action..
Samia Ahmed is a female rural pioneer in Asyut. She had a great leadership role in defending the rights of the female rural pioneers in order to enable them to achieve their rights. After the escalated protests of the female rural pioneers in different governorates to demand better wages and permanent appointment, they have actually succeeded to be present continuously in front of the governmental bodies and to make the issue remain on the table. Effat Abdel Razek swam against the tide. Demanding and defending the rights of her colleagues was her main goal. This experience was an important step for the male and female workers inside the hospital. It was a result of having a joint goal and cooperation to achieve a joint interest. Like any ambitious young girl, AbeerAshour graduated from the university hoping to have a suitable job opportunity. However, like many others, Abeer had to accept a job not related to her major which is working as a “bread seller” in the bakeries project in Suez governorate. We Will Not Remain Silent..
Abeer was oppressed in work. On 10thof June, she was dismissed because she practices trade union work and defends the rights of her female colleagues. Abeer has lodged a complaint to the governor and the head of the local council. The decision was issued approving her return to work in August 2014. AbeerAshour confirms that the laws concerned with the punishment of employers who violate the workers’ rights aren’t activated. “In spite of all this, we will continue to defend our rights at work by uniting our goals and our demands until we gain back all of them”, she concluded. Amid the traffic jam of the city and the noisy horns of the cars, Nour sits in the driving seat when someone waves to her. He steps in and is surprised that the taxi driver isa woman. Nour’s passion did not stop by only proving that the jobs whichthe society restricted to be occupied by men only can be done by women too. Nour’s dreams aren’t limited to only this. She dreams to carry out a non-profit project that targets womenYou will share us in driving taxis toobreadwinner; divorced women or widows who are looking for a door of livelihood. Nour plans that the project will be based on teaching these women driving and communication skills, as well as teaching them English language so that they do not find difficulty in dealing with foreign passengers. She will support them until they receive a driving license and can practice the job. “Many women will benefit from this project”, Nour says. “They will be able to improve their income for their families. Many families will entrust their sons and daughters to them. I aim by this project to contribute to empowering women to prove practically that women are equal to men”. GhadaAttia is a female teacher. She is 37 years old. She holds the position of Assistant Secretary of Teachers Independent Trade Union and the Assistant Secretary of the Regional Federation of the Independent Trade Unions in Al-Sharqiya governorate. Ensuring care and comfort for patients is a work that deserves to be appreciated. However, what happens in hospitals is just the opposite. There are violations of the rights of the nursing profession. Not to mention the perception of inferiority that pursues the nurses. The success of Hala and her colleagues continued with demanding the administration to provide another room for the nursery when they figured out that there is difference in the ages of the children. They distributed the children over two stages according to their age. Hence, there were two classes of the nursery in the hospital. “Of course, our success in establishing the nursery has boosted our self-confidence and has boosted also my colleagues’ trust in me as I am one of the people who had a key role in this initiative. This encouraged us to proceed in taking actions and creating pressures to achieve the rest of our demands”, Hala adds. We cannot continue to remain silent on women’s labour rights especially the rights related to the reproductive role;including the provision of nurseries. This is not only a women’s responsibility but also a societal responsibility (of the state, the work institutions and the family). It’s My Right to Make Sure That My Children Are Safe..
We Will Not Give Up.. It is one of the companies established in the sixties to support the Egyptian industry. Telemasr Company was founded in 1962,specialized in the industry of radios and televisions that were among the main domestic appliances in Egypt. The product line was extended to include the rest of the domestic appliances. 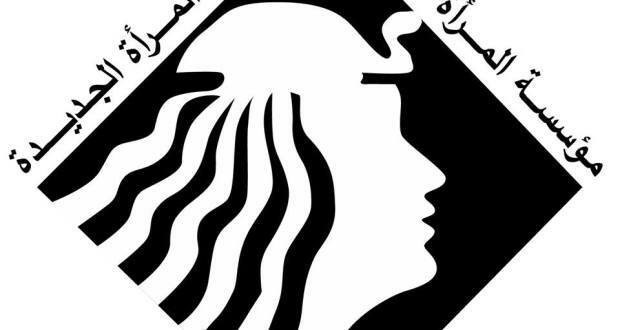 However, like any private foundation, it was interspersed with problems and obstacles where the rights of male and female workers- who are always seeking to improve the company’s production- might be lost. There Is a Limit for Injustice..
A lawsuit was filed to prove the arbitrary transfer, thus, they returned back to Cairo. This was a result of their persistence and their determination to regain back their rights at work. The heroine of our story is a persistent and determined woman. She has been working hard for 37 years in “Al-Nasr Company for Civil Works”. She completed her studies in order to have the opportunity for professional development and improvement of functional status. It’s My Right and I Will Gain it Back..
Fatma lodged complaints to all the concerned bodies starting from the trade union and her managers up to the Minister of Manpower, Minister of Investment and Industry, Minister of Justice, the Attorney General and Minister of Defense. However, Fatma did not receive her dues until she filed a lawsuit against the company with the number 21d/2014. In May, the complaint -which was filed against Fatma in the Administrative Prosecution – was lifted. “I will continue to file complaints until I gain back my rights”, Fatma confirms. She is a helpful trade unionist. Her passion did not stop at being elected to be the head of the union but she seeks to establish the basics of trade union work and teamwork. She struggles to make the trade union carry out its basic and fundamental role of defending the rights of its members. There Must Be an Entity to Bring Us Together..
Fatma succeeded through the collective management of the trade union in solving most of the problems of workers in the tax authority. The trade union has a joint active role with other trade unions to counter the Civil Service Law No. 18. Fatma concludes by emphasizing on the political participation right of women in parliament and local councils and their rights to social protection without gender-based discrimination.